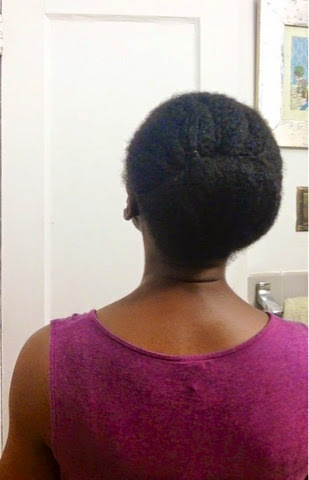 So I am feeling the ease at which my hair can be styled, using the Roll Tuck and Pin technique. I had to quickly run out the door this morning to take little L to her Tap Dancing class. I planned to wash my hair later on so I applied Vatika oil and threw my hair in a RTP. This RTP is for prepping my hair for wash. Although it could be a style on its own, I feel like my hair should be a little fuller in the front, which is not. My hair is weighed down by the Vatika oil I applied before styling it this way. I applied Vatika oil to prepoo my hair. As you may know, if you have done your research, hygral fatigue can be prevented by applying coconut oil to hair, before it gets wet. 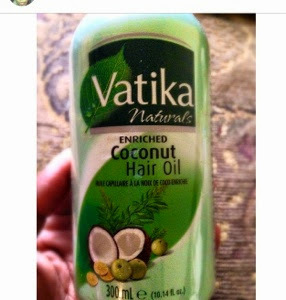 Vatika oil is coconut oil infused with Ayurvedic herbs. I am not doing a review yet on this oil because I have only used it three times. Once the bottle is done, I should have enough information to gather from the prolonged use of the product. One thing I will say is that my scalp got itchy the first time I used it on its own. Strangely enough, that did not happen today. This is why I need to use it more before I give a review, since I am getting inconsistent side effects from using it. 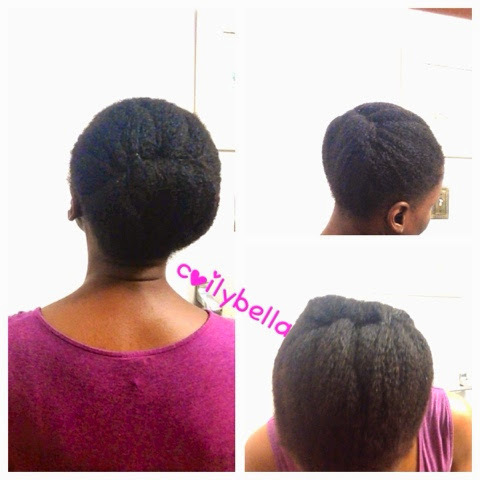 I will try this particular Roll Tuck and Pin again when my hair is not weighed down by any oil. Doesn't it look like a low bun? I think it does. If you like this post, please like on Facebook and share on twitter at the bottom of the post.